Awful picture, awesome people. The room was a little steamy from the oven…can you tell? Gwen’s take on Thanksgiving decorations…pretty close. 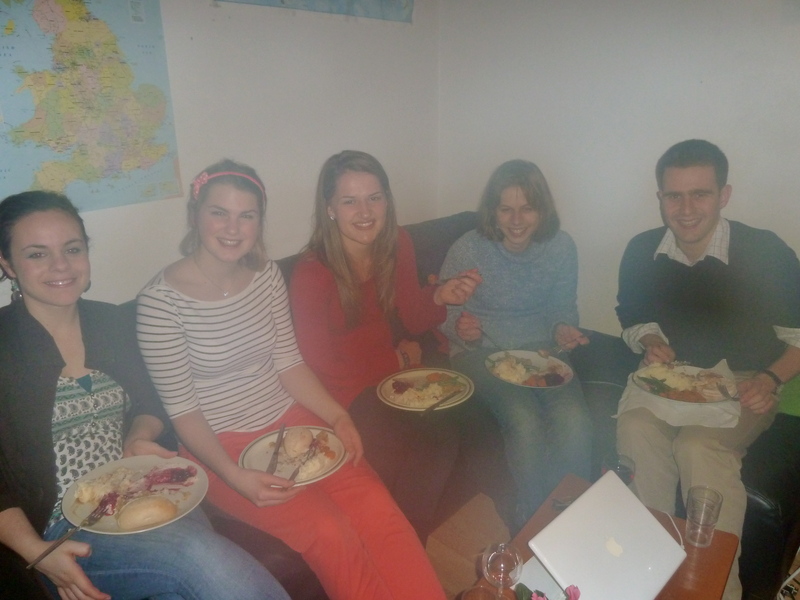 This year I’m thankful for friends to spend Thanksgiving with, lovely flatmates, skype, a new second cousin, a great church, and a faithful, faithful God. I hope you all had a wonderful Thanksgiving! 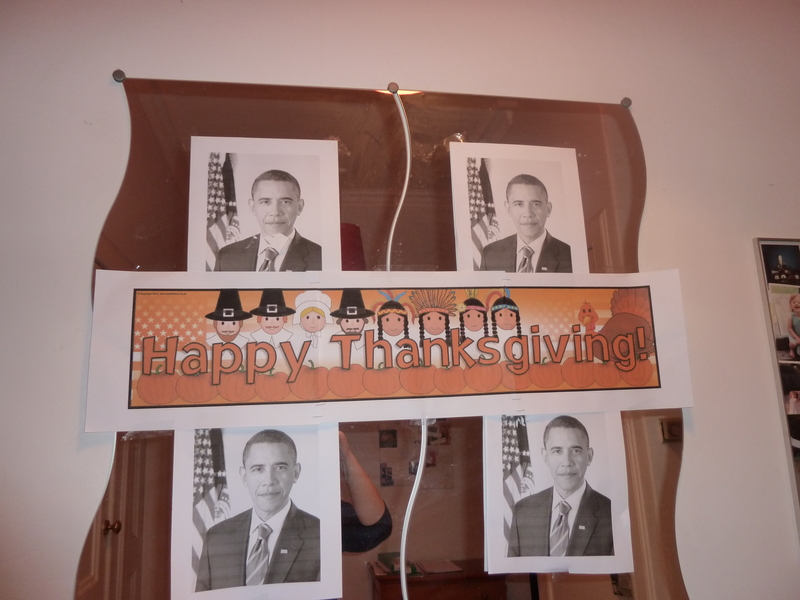 Those Thanksgiving decorations are HILARIOUS! I wish Gwen and I could meet–I think we’d get along. 😉 Love you! I agree with Anna. The decorations are fantastic. Also, your apple pie looks amazing!! I made the same kind, but your looks so much better. I left mine in the oven a bit too long. 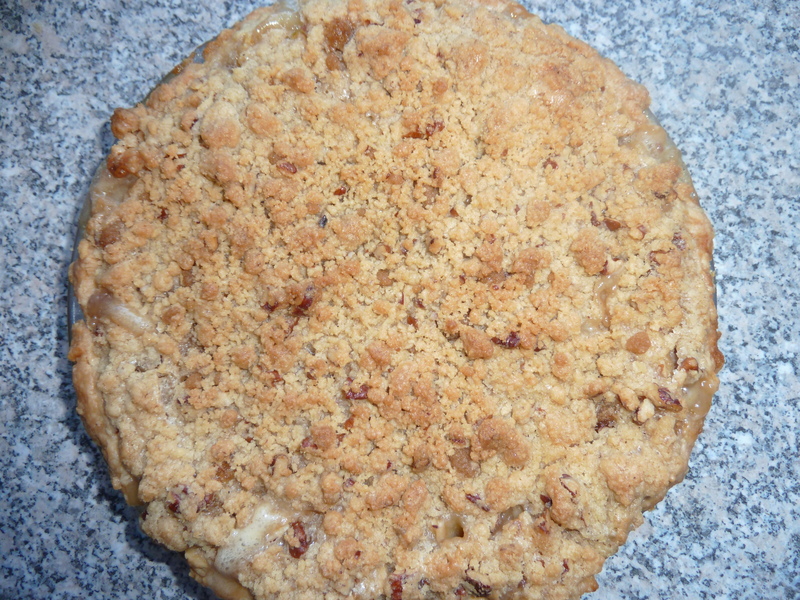 It was still tasty, but the crumb topping wasn’t as crumbly as it should have been.